"Katie is sooooo talented. She was absolutely amazing while shooting my wedding, I had a very large bridal party and she took charge in a very nice way, getting all the shots that she needed!! 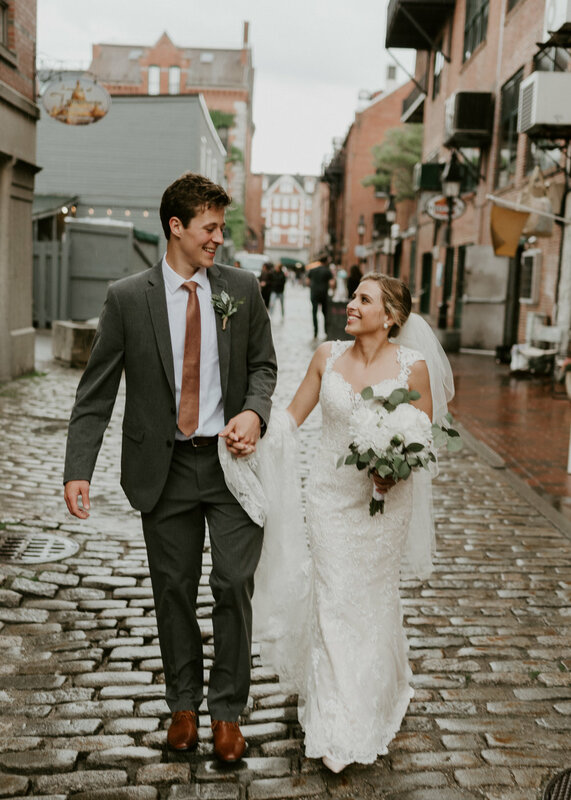 I'm obsessed with the photos she took for us, she truly captured our day perfectly!" "It was really important for my fiancé and I to have someone that we felt comfortable with and trusted for capturing special moments for us like our engagement shoot and for our wedding in September. Katie’s joyful, calming, and fun personality put us at ease when taking our pictures. Katie is incredibly gifted and has an eye for capturing sweet moments. I am so so happy with how our engagement pictures came out and can not wait to have her with us on the big day. Highly recommend!! "Katie was awesome to work with! We wanted an engagement photographer who was relaxed, simple and natural. Katie fit that picture. The day of our shoot it was raining and freezing cold. Katie gave us the option to reschedule, but I wanted to go ahead because of my work schedule. She was super understanding and flexible with the timing. She braved the cold with us and helped us fix our awkward faces. She also delivered the photos very quickly so we could get our Save the Dates set. Love the photos and would definitely recommend her to family and friends!" "Katherine was excellent, such a beautiful soul and made me and my fiance feel super comfortable. Her pictures are breathtaking and just made my heart happy. I could not have been any happier with picking her..."